Radiation Island is a survival game the same way that Dead Island is an RPG - it’s not the finest example of its genre, the execution can be a little less than pristine at times, and yet at its core lies a compelling gameplay loop which makes the whole experience worthwhile. Also, zombies. 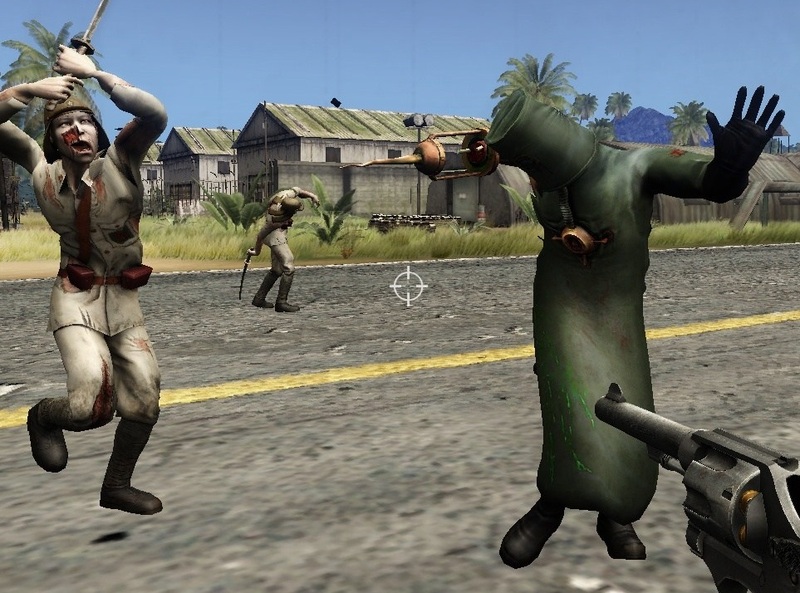 From indie developer Atypical Games, Radiation Island is a game of exploration and crafting in a hostile environment: in the wake of a military experiment gone wrong, a soldier is trapped on an island with no supplies and no way out. It’s a cheap title with serious bang for your buck, offering a huge world to explore and some surprisingly tense thrills throughout. The key tenets of a survival game are such: inventory management, crafting, managing multiple health meters and moving about an unknown, unpredictable landscape. Radiation Island has these, and very solely has these – it’s devoid of the bells and whistles that other survival games like Don’t Starve or Minecraft bear, and as a result feels both more focused and more accessible. Food sources are plentiful at the starting location and so the player never feels like they’re in direct danger until they wander deeper into the island, where they will begin to encounter both hostile wildlife and the living dead. The goal is to reach a series of tall Tesla Towers and deactivate them using codes found while exploring, lifting the radioactive field and allowing the protagonist to return to the world proper. 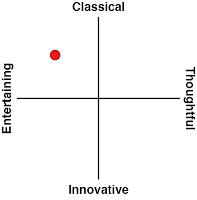 The game’s three difficulty modes offer distinct modes of play. Easy mode turns the game into something akin to Proteus or Dear Esther – wild animals are no longer hazards and you can’t die of hunger, so the game is reduced to finding the notes, shutting down the towers and enjoying the scenery along the way. Even though lots of assets are repeated, there is a distinct character to each of the game’s various zones which makes exploration a real treat in this mode. Adventure mode is the default, and has the player balancing out hunger and ammunition as they power through the island. Survival mode is harsher, with faster-ticking hunger meters and more hostile wildlife, coupled with stricter penalties for dying to create an experience filled with tension. If the player dies in Adventure mode, they lose the item they had equipped when they died. 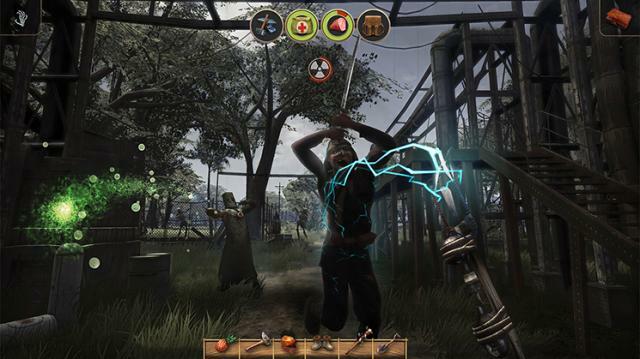 While this looks like a paltry penalty compared to other titles which feature permadeath, in practice the punishment is repetition: the game’s crafting system follows a strict hierarchy and losing something advanced like a bow and arrow can lead to a tedious chain of resource gathering before the player can rearm themselves for more exploration. This means the player never gets to feel entirely safe: they’ll always be wary of when their axe will break, or when their pistol will run out of ammunition. Nothing in this game comes cheap, which is a sobering reminder especially to survival mode players, for whom death means losing all their items. Combat is somewhat unwieldy, but it’s a fitting means to the end the game wishes to achieve. Aiming is automatically locked to enemies with a press of the Y button, so the challenge lies not in lining up the perfect shot but instead having enough bullets to keep yourself safe. Melee combat on the other hand is nearly broken, with a mixture of unpredictable collision detection and fast enemies which ensure that no battle can be finished unscathed. Ultimately, this means that all combat encounters create a degree of tension which wouldn’t exist in a more polished game. I do feel like the game’s story is a missed opportunity. I’m a sucker for military pseudoscience and Radiation Island doesn’t disappoint – it’s a game filled with giant tesla coils, magnetic fields, disappearing battleships and zombies. The world building is delightfully anachronistic, asking players to dispatch bears, crocodiles and what look like undead US Civil War generals using an arsenal of machine guns, boomerangs, flintlock pistols and everything in-between. If only there were some NPC’s to talk to, or even just a few names and faces to give the narrative some weight: instead, all we get is a faceless silent protagonist picking up scraps of diary entry. These entries themselves give more background info regarding the Phi. After a few hours (and trust me, this is a huge game for its price tag) the wandering does start to feel a little aimless. 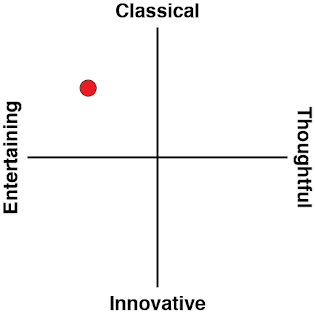 The B-Grade story does make it much easier to tolerate the game’s art and sound assets however. The introductory cutscene shows a battleship glitching in and out of view, and so with the game’s framing device of a mysterious maybe-real-maybe-not island firmly in place, an animal clipping through a fence or a weirdly animated zombie doesn’t ruin the mood in the slightest. The sound is decidedly less inspired, featuring mere bloops and buzzes to simulate what tesla coils sound like (probably, I’ve never been near one) and while it’s atmospheric for the first few minutes, it’s tuned out in the many after. 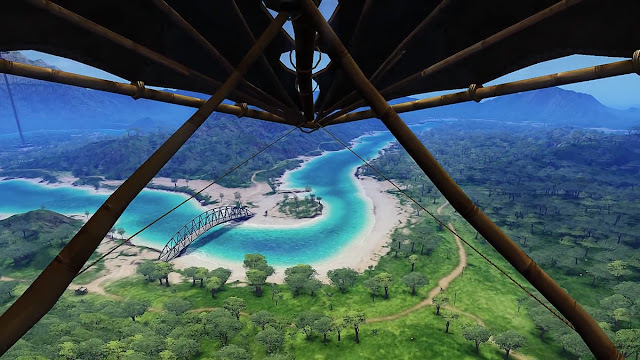 The world of Radiation Island is enormous for a game of its budget, and the environments are varied enough that the player will always be discovering something new. The three difficulty modes actually vary gameplay a significant amount, but even past that, I can imagine players having a blast with their own self-imposed challenges. Since the game uses random generation only sparingly, it’s a solid title for a speedrun, but the creative gameplay also opens up possibilities for other challenges like a vegetarian-run or a no-gun-run. I really liked Radiation Island. As a kind of low-budget, design-by-subtraction experiment in crafting and survival systems, Atypical Games crafts a rewarding feedback loop that keeps players on their toes for the entire experience. It was easy to forgive the occasional bug or crash when the core game itself is so robust. Its bare-bones design philosophy means it’s perhaps not the best title for survival genre diehards, but it’s a refreshing title to hit the Switch and one you might find yourself playing for way longer than planned.